I do believe the seats would be comfortable for someone your size, but you will not be as supported. My wife is smaller than you and she finds the seats very comfortable, but she does move in them alot more than I do. Thanks man. I'm assuming even if it's a little "roomy" the harnesses take up the rest of the slack? Yes, obviously if you tighten the harnesses well, you won't be moving much at all. If you plan on keeping your stock seatbelts (I did) for the street, then you might find yourself moving a little more in your seat than you would like. That being said, I still think they will hold you better than the stock seats. I'm not planning on keeping the stock belts. I've had an HD roll bar for awhile now and have been putting off the seat upgrade due to the cost. This is great info...thanks! The install took a little longer than the Driver's side seat due to complexity with the Air Bag sensor used in the 06+ cars. 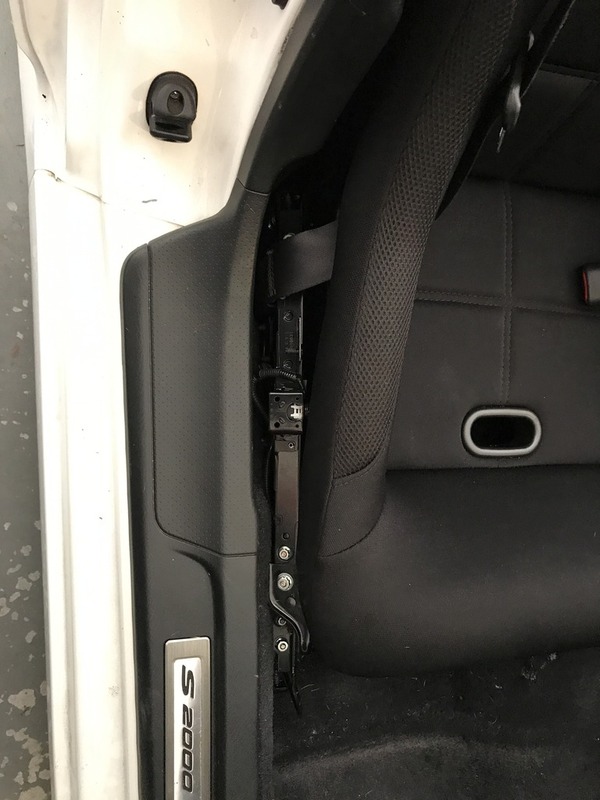 To ensure that the airbags stayed operational, had to remove the sensors from the stock seat rail and connect them with the new seat. For the time being I placed the rails next to the seat to test and make sure that they would keep the airbag light off. I'm very curious as to how you faked out the weight sensors and proximity sensors in your '06+. I've got a 2007 that I was trying to put some other seats in and couldn't figure out how to take the sensors off of the OEM rails and use them with the new seats to work. Can you detail for me how you made them work? I see you just laid them down but then I'd guess they wouldn't have any weight on them so the airbag would be disabled. I want to put in seats but want to make sure if I hit something, the wife will hit an airbag that deploys. The '06+ weight sensors might be OK with these seats without going to Honda for a re-calibration because they are close to the OEM weight but I cannot for the life of me figure out how you made the passenger side "weigh" the seat and occupant to make it all work right, no lights and deploy properly if you wreck. 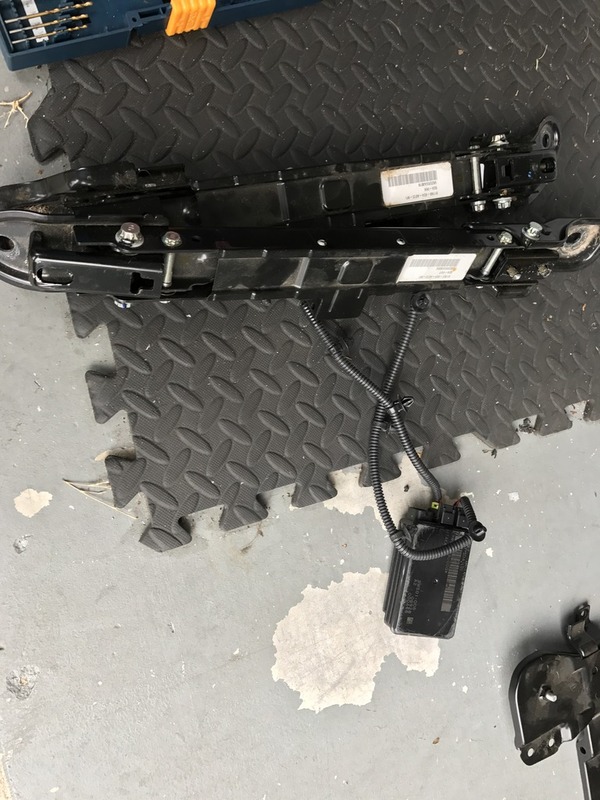 I ended up "tricking" the sensors by using a couple of C clamps on the rails that I removed from the passenger seat to trick it into thinking it had the weight of a passenger, but eventually just removed them all together. 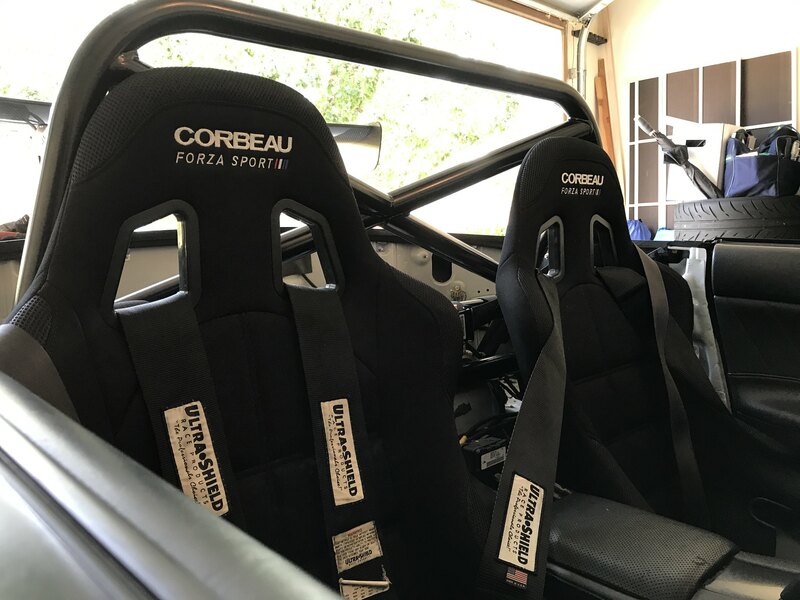 So I see that this Corbeau Forza Sport seat has been discontinued. 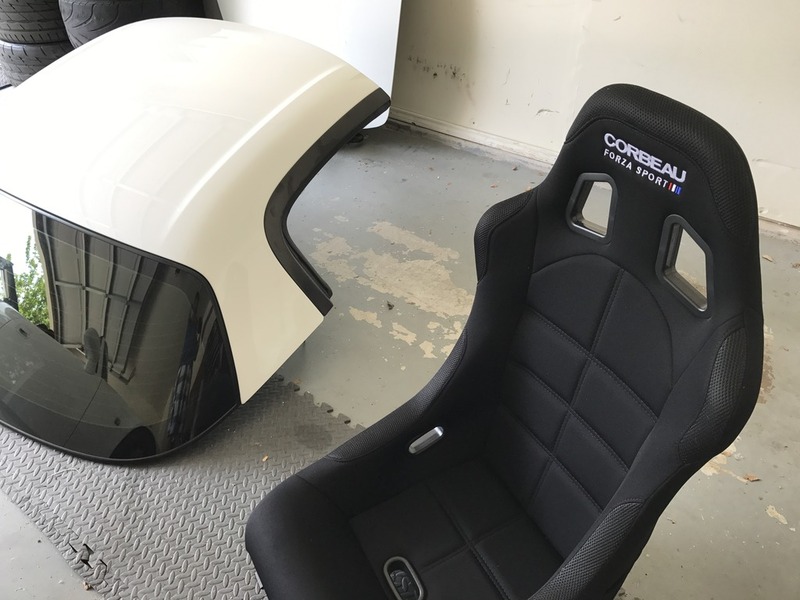 Does anyone know if there is a like for like seat by Corbeau that has replaced it? 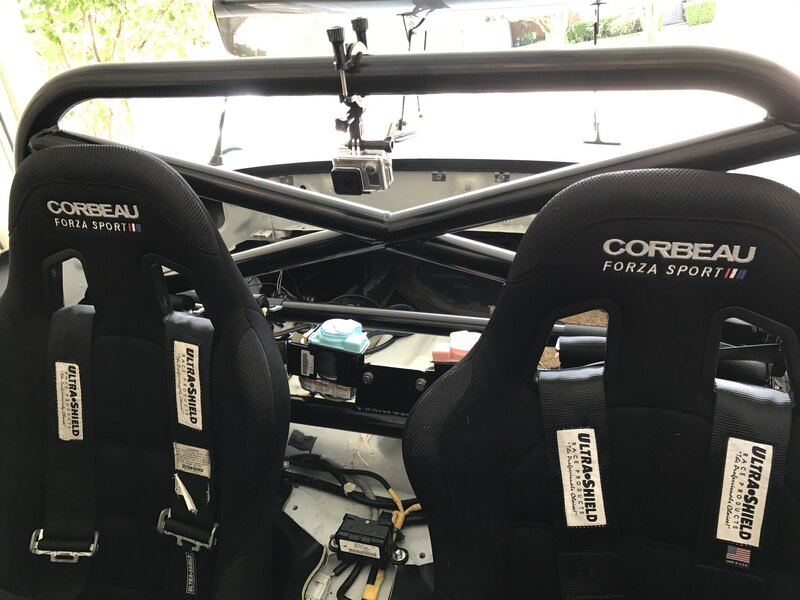 The regular Corbeau Forza (not sport) is supposed to be the exact same seat but without the FIA certification. Sparco Circuit 2 LF Halo with PCI mount. No hammer install.